As a Dental Assistant, your work may vary. You’ll deliver patient care such as helping the dentist with various dental procedures, processing x-ray film, schedule and confirm obtaining dental records, prepping patients, appointments, receive patients and more. Most dental offices are open for business Monday through Friday, 8 hours a day. The best part is, you’ll have a fulfilling job that truly helps others. It’s a fulfilling and exciting career in a nice, professional environment. And you’ll have good work hours too. It’s a job you can feel proud of! We have students from all over Connecticut. One student of the curriculum, Lauri Whitney, said. 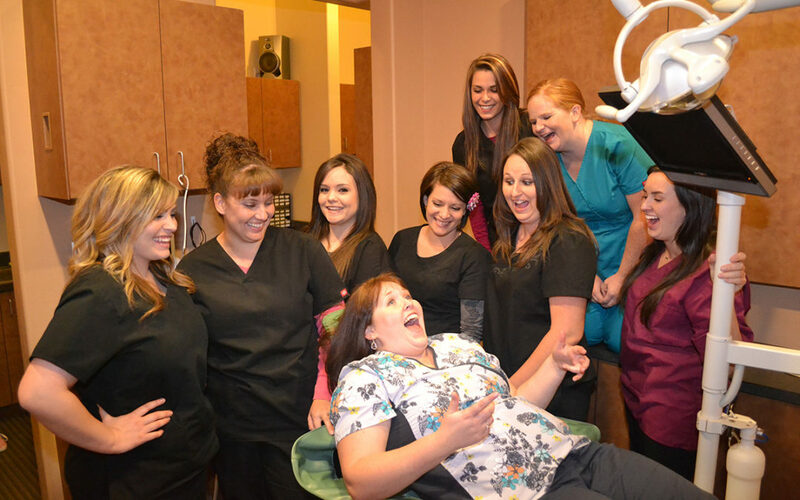 “Taking my dental class through your school was a great experience for me. It provided me a program that gave me accurate and up to date information regarding dental assisting and various dental procedures. I felt that the training and lab time prepared me for working as a dental assistant in the real world. Your staff was very friendly and knowledgeable. I would definitely recommend this school to anyone interested in becoming a successful dental assistant.” Graduates are finding good jobs that are leading to successful careers. One of the benefits of our school is that students will learn all the information in a classroom setting, and will get hours of hands-on training in a local dental office. Many of the students at the Sunny Willow School of Dental Assisting are young and just getting started with a career in the health-care industry. Others are re-entering the workplace later in life or wish for a career change and are finding great opportunities. Classes start four times every year, so students can enroll anytime with a new session starting soon. Classes are a few nights per week and include elements in the classroom laboratory and hands-on in a practice. Students must have a high school diploma or a GED equivalent to qualify to enroll. Upon completion, graduates receive a Certificate in Dental Assisting. I am a strong believer in the Sunny Willow School of Dental Assisting curriculum and effectiveness. Take advantage of this opportunity and reserve a spot in our next Dental Assisting class…Email or call (203) 372-0580 today to reserve a spot in our next Dental Assisting class. Look forward to hearing from you soon!